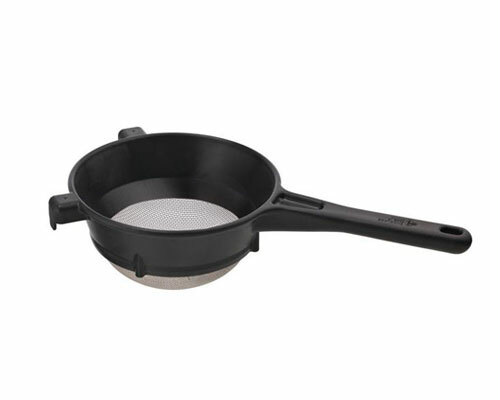 The iSi Funnel and Sieve fits all iSi Whippers. 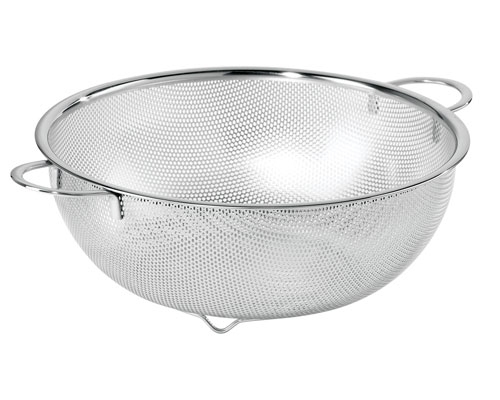 A 750 ml funnel made of 18/10 stainless steel and 15 cm sieve makes this a generous and functional piece. By fitting to your iSi whipper this funnel and sieve can be used hands free also it's dishwasher safe. 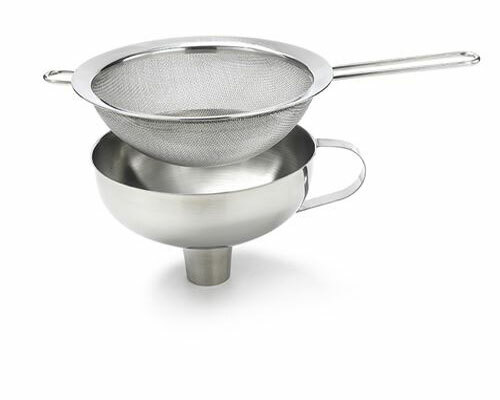 Mafter's Fine Sieve strainer is used for straining stocks, sauces, soups or heavy creams. 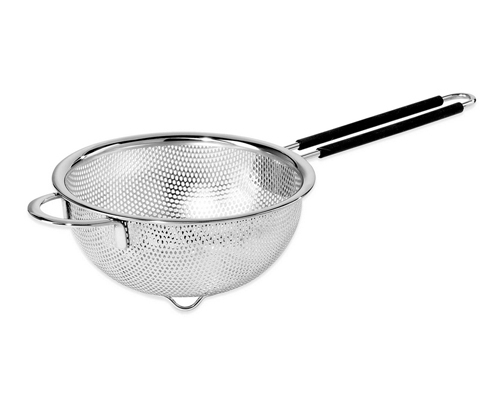 The fine mesh ensures smooth gravies, and cream sauces. 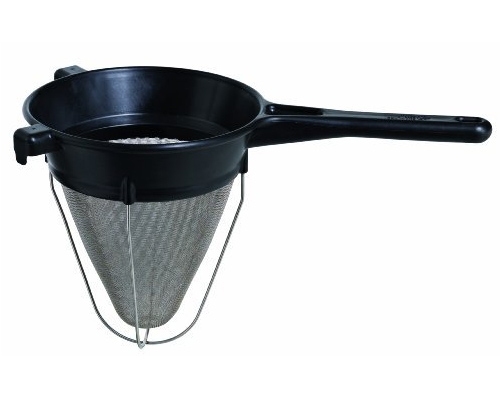 Mafter's Medium Sieve strainer is used for straining stocks, washing berries or as a colander type strainer. 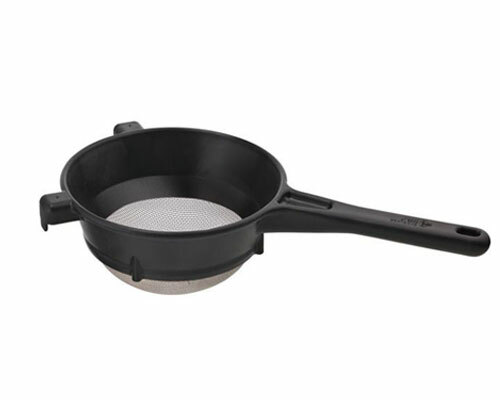 Because of the stainless steel mesh and ergonomic ventilated handle, your temperature won't be affected when inserting into hot liquids. Meaning that sometimes it's used to dip right into a stock pot to retrieve product from the liquid. Heat Resistant up to 430° F.
This Matfer Bourgeat 8 in. Exoglass Chinoise is made of Exoglass with an ergonomic handle that is insulated and comfortable. 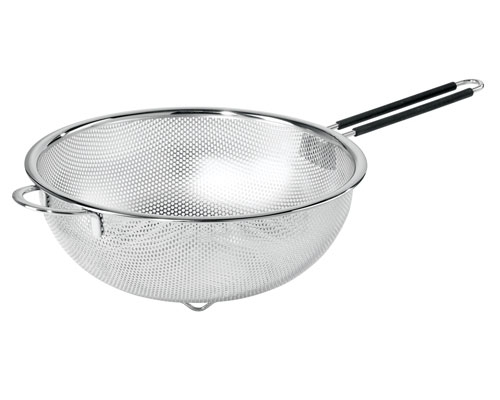 It has 2 side hooks that provide stability while straining in the pot. 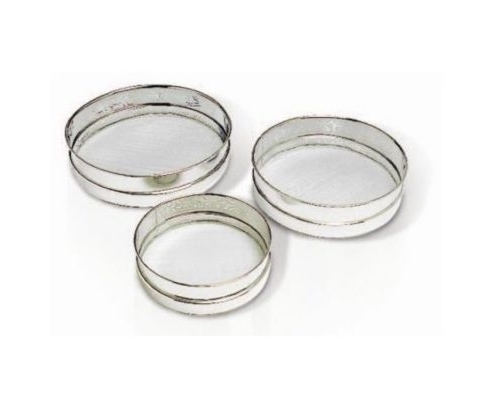 These #20 medium mesh stainless steel drum sieves are ideal to use for milling moist foods and liquids. Great for mashed potatoes, force meats, white beans, and pastry creams when you want to create a smooth, creamy consistency. 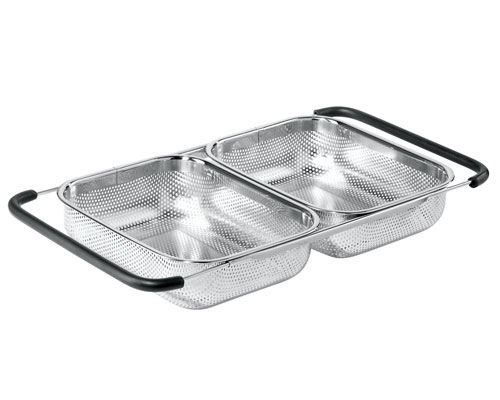 It can also be used for sifting dry ingredients like flour.